For Reservations: Call 1-800-457-4653 and reference JAXPORT or book online by clicking here. Availability: We only have rooms available for check-in on Monday, April 29th through Wednesday, May 1st. 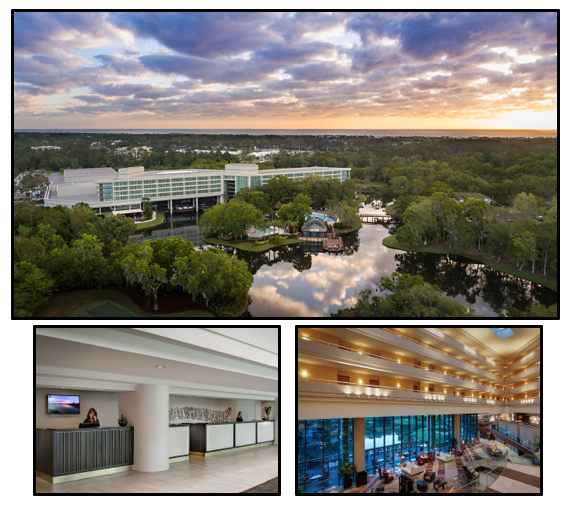 Parking: Attendees who are staying at the Sawgrass Marriott Golf Resort & Spa will receive onsite self-parking as it is included in the resort fee. Valet is available for $24.00 per day. Transportation to/from the Airport: The closest airport to the resort is Jacksonville International Airport (JAX), located about 35 miles northwest of the resort. This hotel does not provide shuttle service: Estimated taxi fare: $90 (one way) available on demand from JAX. SuperShuttle also services JAX and may be contacted at www.supershuttle.com or 1 (800) 258-3826. Multiple rental car companies service JAX. For a full list of options please click here. Uber and Lyft both offer service from the Jacksonville airport and surrounding area. Estimated fare will be $45 - $55 one way.